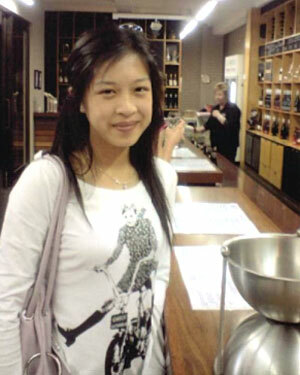 Sally Cheong was last seen at 3.00am on Wednesday the 2nd of April, 2008, at her home in Oakleigh South, Victoria. Concerns are held for her as no contact has been made with the family since this date. POLICE have revealed an email sent by a woman shortly before her disappearance that could bring investigators a step closer to cracking the five-year-old case. In the chilling message to a male friend Sze Wan "Sally'' Cheong said she was scared he was going to shoot her and expressed fears for her life, weeks before she vanished. It comes after polygraph lie detectors have helped clear three men at the centre of the case, which has baffled detectives. "I think I know what u r doing. Im afraid u gun me down, or get angry,'' Sally wrote in an email to the man on March 3, 2008. She disappeared from her Oakleigh South home in Moresby St, on April 2, 2008, shortly before her 23rd birthday. Extensive inquires have failed to find any trace of her or her body. A recent fresh look at the case by the homicide squad's cold case unit has cleared the suspect she feared was going to shoot her. Cold case squad head Ron Iddles yesterday said every other person of interest had also been exonerated by the new probe into Sally's disappearance. "We are back to square one and really need help from the public to advance this any further,'' Det-Sen-Sgt Iddles told the Herald Sun. "Somebody must know where she is or what happened to her and I am appealing for them to come forward. "In the past six months we have put a lot of effort into this case. "We have travelled to different parts of Australia to interview everybody that was associated with her. "We have spoken to Sally's ex-boyfriends. We have looked at the person she emailed to express concern for her safety, who is one of the three men who were in her life for a period of time. "They all have alibis and we have gone to the further extent that all have taken a polygraph lie detector test and they all passed. Sen-Sgt Iddles said there was not enough evidence in the case to say whether Sally was murdered, had an accident, committed suicide or just decided to voluntarily disappear to start a new life somewhere. "There are two main possibilities, that she has left with somebody she knew and for whatever reason something has happened to her and she has been unable to return,'' he said. "Or for some reason she has decided that she wants to walk away from the family. "There was some suggestion she may have got another passport when she was overseas, but we can't substantiate that. "There are some people who say she didn't like working in her parents' factory, that she found it onerous. "Now it may be, for whatever reason, she's decided she doesn't want that and that she can't tell her mum and dad she didn't want that life and she has decided to make a life for herself. Sally's younger sister Helen, 26, yesterday said she and her family lived in hope that Sally would come home one day. "My parents sometimes still speak about Sally as if she ran away,'' she said. "I know that they do, now and then, go to China to see psychics and tarot card readers and stuff to try to get an idea of where Sally is and normally they come back and say she is living somewhere in China. "We want to believe she has run away. I am leaning towards that she has probably run away. "Mainly because she brought with her the little blanket that she had since childhood and that's not normal for her to just bring that out on a normal day out. "And if something bad happened to her it would be strange for her to bring that with her, unless the person who took her knows about the blanket. "I think there is someone out there who helped her if she did run away. "My appeal is for anyone who knows anything about her disappearance to step forward because we are very certain someone out there knows something. "If Sally reads this I would appeal to her to make contact with police or a family member so we know she is all right. Ms Cheong said Sally had come back to Melbourne in early 2008 after spending a year in China studying and had spoken about wanting more freedom. "That's not normally something she would normally have expressed to me,'' she said. "When she came back from China she talked about being free, wanting to do what she wanted. "Whereas before she was more the type that stuck with the family. Ms Cheong said the disappearance of Sally shattered their mother Kim, father Wa Chong and the couple's three other children, Anna, Wendy and Andrew. Mr Cheong got home from a business trip to Adelaide about 10pm on April 1, 2008, and after having something to eat he went into Sally's room about 11pm to leave a set of keys to the family Tarago van on her dressing table. He later told police he softly called Sally's name, but she didn't wake up. It was some hours later, about 3am on April 2, that Sally's sister Wendy, 14 at the time, saw Sally up and about. Wendy told police she was on her computer in her bedroom, which she shared with her sister Anna, who was 17 at the time, shortly before 3am when she heard a noise in the hallway. Presuming it was her mother, Wendy quickly hopped into bed with her laptop and pretended to be asleep as she knew her mother would be angry if she discovered she was messaging her boyfriend on her computer so early in the morning. When her mother didn't come into the room, Wendy looked through her partially open bedroom door and saw somebody standing initially outside her sister Helen's room and then outside Sally's room. She told police she heard a low male voice saying what she thought was "yeah'' and while she couldn't see well enough to identify who it was she presumed it was Helen's boyfriend as he had come into the house in the early hours many times before. Wendy then saw Sally walking down the hallway from what she thought was the toilet area. Not suspecting something might be wrong, Wendy didn't get up to talk to Sally or the male she heard speaking and went to sleep about 3.30am. When the Cheong family members woke up the next morning they initially thought Sally was still asleep in her room. Her father was the first to get up about 7.30am. He found the keys to his BMW and his Asian food wholesale business on the floor outside his bedroom and presumed Sally had put them there as she had been driving the BMW. Sally's younger brother Andrew answered the phone at home about 9am and was asked to give Sally their father's mobile phone to bring to the family business in Keysborough, where Sally worked, as Mr Cheong had forgotten to bring it with him. When Andrew couldn't find Sally he gave the phone to Anna instead, presuming Sally had already left the house for work. It wasn't until about 1pm that day that family members suspected something was wrong. Anna texted Helen about 10am asking if she knew where Sally was. Helen replied that she was probably with her boyfriend and that she would check with him. Helen wasn't able to contact Sally's boyfriend until 1pm and he said he wasn't with Sally and didn't know where she was. It was then that police were called in. Helen told police she heard Sally's mobile and landline phones ringing in her bedroom repeatedly between 10.30pm and 11pm on the night before she was discovered missing. She said Sally had not answered the calls. Police have since discovered Sally's mobile phone has not been used since the night before she disappeared and none of her bank accounts have been accessed. They also discovered a number of Sally's personal items were missing from her room, including her wallet, car keys, iPod and a blanket she had been attached to since childhood. Police presume Sally took them with her when she left home - either willingly or unwillingly - with the male her sister Wendy heard in the house in the early hours of April 2. She left behind her passport and car. One of Sally's closest friends, Catherine Chia, 27, who she met in her first year at the prestigious Presbyterian Ladies' College in Burwood, wrote an emotional plea for help on her blog last year. The blog post was prompted by the disappearance and death of Jill Meagher. "I hope you don't think that I'm being opportunistic, but seeing this story played out though the news and social media has been a very personal reminder for me,'' Ms Chia said on her blog. "In the early hours of the 2nd of April, 2008, my dear friend Sally Sze Wan Cheong went missing from her home in Oakleigh South and has not been seen or heard from since. "She was last seen in their family home around 3am by one of her sisters, and when she failed to turn up for work at the family business the next day, the alarm was raised. "She left the house somewhere between those times with her wallet, phone, iPod, car keys and a blanket that she had had since she was a baby... however, that is where the clues end. "Her phone was switched off by noon, her credit cards and bank account remain untouched, and her car was still parked safely in its spot when I went to see the family shortly after her disappearance. "Sally was a gorgeous girl, with an infectious laugh, and the carest, kindest, most trusting nature. Perhaps a little too trusting. "When we met in the first week of high school, she was a timid little soul but we connected and became firm friends. Over the years, she blossomed from that timid little girl I had first met into the most likable social butterfly. "Sally was everyone's friend. You would be hard pressed to find a person who did not like her. Actually, scrap that. You just would not be able to; it was impossible. She was known for her love of cameras, and she would follow you around the hallways just hoping to snap a candid shot. "I know this whole spiel sounds like something people say in hindsight, to not speak ill of those gone, but every single word of this is the truth. "The only fault I can find with her is the fact that she was TOO good; too friendly and too caring, and since she was everyone's friend I had to share her time with a million others! "I suppose that's one of the things that could have been a downfall in the end and lead to her disappearance. "She had so many friends and was so caring and trusting, and would try to help anyone in need, no questions asked. "We can only assume she crossed paths with the wrong type of person, and would not have suspected a thing because she only ever saw the good in people. "Her family and friends still live in the hope that she is out there somewhere, and will some day eventually return home to us safely. So I guess this is the point of my post. "I'm asking if you could please keep your eyes and ears peeled. "This media attention for Jill Meagher means that every person in Melbourne is keeping a watchful eye, hoping to find clues to assist in the case. "Please be on the look out for one more person, and perhaps help find an answer to our questions? "I know that four years is a very long time to be gone, but we're still hopeful, and every extra pair of eyes that are looking out for her helps our chances. "The worst thing about when someone goes missing like this is the uncertainty. Friends and family don't know whether to grieve, or remain positive and hopeful. There is no closure on the matter. "We don't know whether she suffered, or whether she is still suffering. We don't know if we'll ever see her again, and we don't know what more there is that we can do to try and find her. "But what we do know is that we are hoping with ever fibre of our being that she is happy and safe, and that some day she will return home to us. Ms Chia yesterday said she and Sally's other friends and family wanted to believe Sally had run away as that was preferable to her having had an accident or been harmed. "But she wasn't really the sort of person to have done that, to have left her family and her friends worrying about her,'' she said. "If she is alive my appeal to her is to let somebody know she is alive. There would be no questions asked, we would just rather know she is all right. Sen-Sgt Iddles yesterday appealed to anyone with information about Sally to call Crime Stoppers on 1800 333 000.